Dr. Barbara Gaba was appointed the ninth president of Atlantic Cape Community College in January 2017. Her vision is for the college to become the region’s preferred choice for higher education and professional training and to serve as a leading catalyst for economic and workforce development. She is working diligently with the college and its partners to anticipate and fulfill the region’s educational needs, and to strengthen the community’s economy by collaborating with K-12, non-profit and higher education institutions. With extensive experience in higher education, she is deeply committed to the mission of the community college to provide educational pathways for student success. Recognizing the important role that education plays in transforming lives, she has embarked on an aggressive plan to strengthen student services and enhance program offerings that address the needs of residents in Atlantic and Cape May counties. 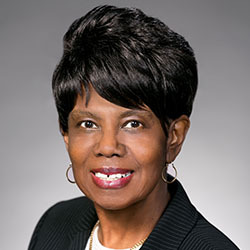 Prior to joining Atlantic Cape, Dr. Gaba served as Provost and Associate Vice President for Academic Affairs at Union County College, a position she held since 2002. She was responsible for the overall operation of the college’s urban Elizabeth Campus, serving as the chief academic officer and administrator of the campus providing leadership, vision and strategic direction to the campus, its faculty, students and programs. She also served as Dean of Academic and Student Support Services at Camden County College and Associate Director of the Office of Board Affairs and Government Relations at the New Jersey Department of Higher Education. 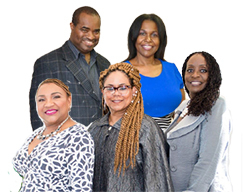 Dr. Gaba sits on the boards of several organizations including the Atlantic County Economic Alliance (ACEA); Greater Atlantic City Chamber Board of Directors; Atlantic County Workforce Development Board (WDB); and the NJ Community College Consortium for Workforce & Economic Development. At the national level she also serves on the board of the Chair Academy for Leadership Development and is a commissioner for the American Association of Community Colleges (AACC) Commission on Diversity, Inclusion, and Equity. 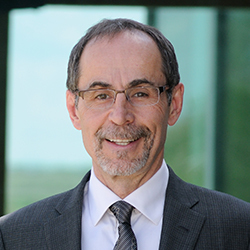 As President and CEO of the Saskatchewan Polytechnic, Dr. Larry Rosia leads the province’s primary provider of technical education and skills training. Sask Polytech serves more than 28,000 distinct students, and offers programs that touch every sector of the economy. 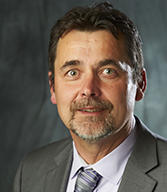 Dr. Rosia is responsible for leading the development of Sask Polytech’s vision and for providing strategic direction to the organization, enabling it to sustain its momentum and capitalize on new opportunities. His priorities include ensuring that students have access to a high-quality, innovative post-secondary education, that employers have access to a highly skilled and qualified workforce that contributes to Saskatchewan’s prosperity, and that Sask Polytech nurtures a positive and vibrant workplace environment. Dr. Rosia’s career in education spans more than 35 years, as an Instructor, Program Chair, Revenue Generating Coordinator, Marketing Manager, and Dean. 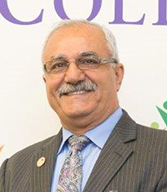 He has more than 20 years of leadership experience in educational administration and has served in advisory roles to community, provincial and municipal committees. Dr. Rosia is the President of Post-Secondary International Network (PIN). He had and is serving as a Director or Board Member for several Regional, National and International organizations; including Business/Higher Education Roundtable (BHER) Committee, CANARIE, Community Colleges for International Development (CCID), Polytechnics Canada, the International Mineral Innovation Institute (IMII), Skills Canada Saskatchewan, the Saskatchewan Post-Secondary International Education Council, the Saskatchewan Labour Market Task Force (LMTF), World Federation of Colleges & Polytechnics, and the University of Regina Senate. 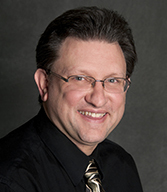 Dr. Rosia is an alumnus of UofA and SAIT Polytechnic and a lifelong learner. He has a background in telecommunications engineering, adult education and educational policy and administration, and in 2006 completed his PhD in academic leadership at the University of Calgary. He completed the Executive Leadership Program at Harvard University and earned Institute of Corporate Directors (ICD) Designation. Notable recognition includes the SAIT Board of Governor Award for Business and Industry Partnerships, the Conference Board of Canada Award for Business and Industry Partnerships, the Chair Academy International Exemplary Leadership Award, the Saskatchewan Men of Influence Award, and the Paul A. Elsner Excellence in Leadership Award. Dr. Rosia is a well-respected ambassador for the post-secondary community. He authored a book titled "The Successful College President." 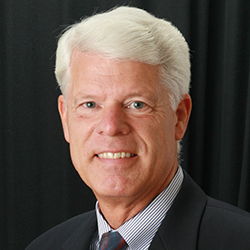 Richard has enjoyed several rewarding careers as a leadership practitioner. As a commissioned officer in the United States Army, he successfully commanded at the company, battalion and brigade levels in addition to holding increasingly responsible staff positions as a general staff officer assigned to Headquarters US Army Europe, a branch chief on the Joint Staff in Washington DC,and as a Special Assistant to the Supreme Allied Commander, Europe. 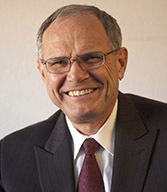 From 1998-2010, Richard served as the Dean for Business and Technology at Olympic College in Bremerton, Washington where he had oversight for some 130 staff and faculty and 14 highly diverse academic programs. Finally, Richard served as the Executive Director of The Chair Academy from November 2012 to October 2017. 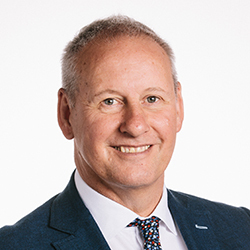 Richard credits the Chair Academy with having had a remarkable impact on his own personal leadership journey and relishes his role as an Academy Facilitator. Richard began facilitating discussions on leadership and management back in 1973, when he was assigned to a select management training team established by General Westmorland in XVIII Airborne Corps and the 82nd Airborne Division. Since then, it is estimated he has been featured as a facilitator, key note speaker or presenter on a broad range of leadership topics involving over 10,000 participants/attendees in nine different countries including Belgium, Canada, China, England, Germany, Italy, Russia, Thailand, and of course, throughout the United States of America. Richard has received numerous awards and decorations throughout his career, to include the Charles L. Derry Memorial Award from Puget Sound Naval Shipyard (OCT 2010), and the Paul A. Elsner Award for Leadership Excellence from the Chair Academy, at the Annual International Leadership Conference in Atlanta, Georgia, March 2012. In addition, he has been awarded some of the nation’s highest honors for military service including the Legion of Merit and the Defense Superior Service Medal. Dr. Judy Korb has over 25 years of experience in education and training. Her background includesexecutive leadership, business professor, management consulting and profes-sional/organizational development including needs assessment, meeting facilitation and training for businesses and colleges. 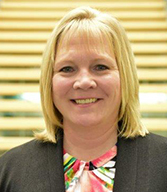 Judy is currently the Executive Vice President of Human Resources and Workforce, Community and Economic Development at Johnson County Community College in Overland Park, KS. She and her HR staff are responsible for compensation, benefits, employee relations, compliance and professional development opportunities for 2,500 faculty and staff at JCCC. 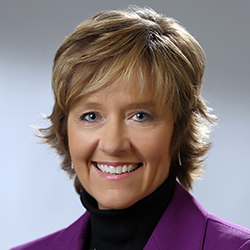 In Workforce, Community and Economic Development, Judy and her staff create workforce and economic development solutions for Johnson County businesses and professionals through training and community partnerships. 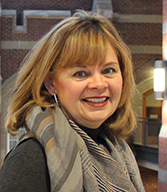 Previously Judy spent four years as the Director of Staff and Organizational Development at JCCC. She was a full-time professor at Johnson County Community College where she taught Small Business Accounting, Accounting I and II and Human Relations for six years. She has also worked as a consultant in Johnson County Community College’s Small Business Development Center assisting area entrepreneurs in developing business plans, creating and analyzing financial statements, conducting feasibility studies and providing general management advice. Judy spent seven years as the Program Director for Seminars and Special Events in the Center for Business and Technology at JCCC. Her responsibilities included planning and implementing a comprehensive schedule of non-credit seminars and classes to bring companies in the Kansas City metropolitan area the latest concepts and skills in professional development. Judy has facilitated planning sessions, meetings and training for small and large companies and colleges on local, regional, and national levels. She consults and delivers training in interpersonal communication and organizational development topics for business and colleges. Judy has a Master’s degree in business from Webster University and a Ph.D. in Educational Policy and Leadership/Organizational Behavior from the University of Kansas. Danielle Staples is the Mathematics Department Chair and a faculty at Arapahoe Community College in Littleton, Colorado. Danielle has over 14 years teaching experience, with 10 years in a higher education setting. She has played a central role in many initiatives such as restructuring development mathematics, designing and implementing corequisite courses to expand access to college-level curriculum, and collaborating in a partnership with the Massachusetts Institute of Technology federally funded “First in the World” grant. Danielle is an active member of the American Association of Women in Community Colleges and is approaching the dissertation phase of her Ph.D. program in Higher Education Leadership. 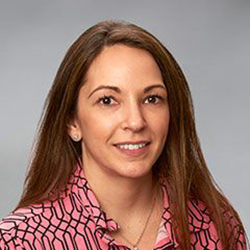 Not only has Danielle seen the faculty and administrative view of the community college environment in her multiple roles, but Danielle is also a proud alumnus of Lorain County Community College in Elyria, Ohio. Danielle is thankful for the opportunity to engage in the Foundation Academy Program and work towards developing as a successful community college leader. 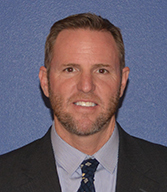 Wayne has over 20 years’ experience within higher education in varying leadership roles. Currently Wayne is responsible for the centre that delivers English programs to newly arrived migrants and asylum seekers,creative arts program including visual arts and music and a suite of business and leadership programsincluding the Academy program delivered under licence in Melbourne. 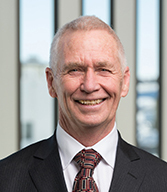 Wayne also manages the Wurreker Strategy on behalf of Victoria Polytechnic. The Wurreker program is a partnership agreement with the Victorian Government and the Victorian Aboriginal Association Incorporated to improve education and training delivery for indigenous students. 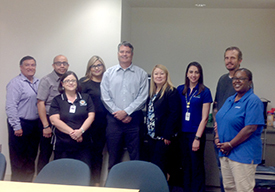 Wayne’s centre continues to work with a number of community agencies, sporting groups and corporate bodies to assist them to develop the capacity of their workforce. 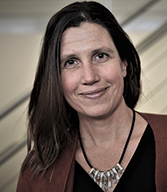 In previous roles as Director and Associate Dean at Victoria University Wayne managed a range of programs in the Health and Community Services areas including Nursing and Community Development. Reflecting his previous career in Local Government Youth and Community Services delivery. Hover over photo to read summary. Cordell Riley, M.Sc., Davitta B. Ealy, M.S. Recognizing our Conference Sponsors. Without their contributions we would not be able to bring you the high level speakers, and continue keeping our registration costs at a participant friendly rate.